Offenbach, Stephen King and the Man in Black. Randall Flagg? Walter O'Dim? Richard Fannin? He's the villain of Stephen King's The Dark Tower. Art by Jae Lee © Marvel Comics. Character © 1978 Stephen King. Jacques Offenbach saved his very best work for last. His final opera Les contes d'Hoffmann (playing at the Metropolitan Opera this week) was left incomplete at his death, but quickly entered the repertory in various completed versions. Offenbach based the opera on three stories by the author/poet/composer E.T.A. Hoffmann, working from a libretto that placed the poet himself as the hapless protagonist in his own stories. Standing in his way: four leading ladies (often played by two sopranos and a mezzo) and four villains, all of whom are designed to be played by the same bass-baritone. A second Yes rocks Newark. 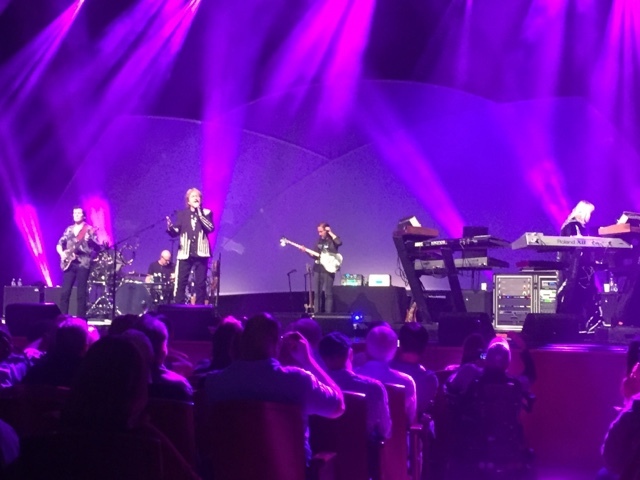 Yes featuring Jon Anderson (center left) Travor Rabin (far right) and Rick Wakeman (far right) at NJPAC. What's in a name? For Jon Anderson, Trevor Rabin and Rick Wakeman, an awful lot. The three musicians banded together last year as "ARW" and started touring playing Yes music. Following the induction of eight band members into the Rock and Roll Hall of Fame, the boys are now calling themselves "Yes featuring ARW", putting their band in direct competition with the "official" version of the band led by Steve Howe. Their version of the band rocked NJPAC in Newark last night with a show featuring different eras of the venerable English prog rock band's 49-year history. The Met’s new Norma gives the people what they want. 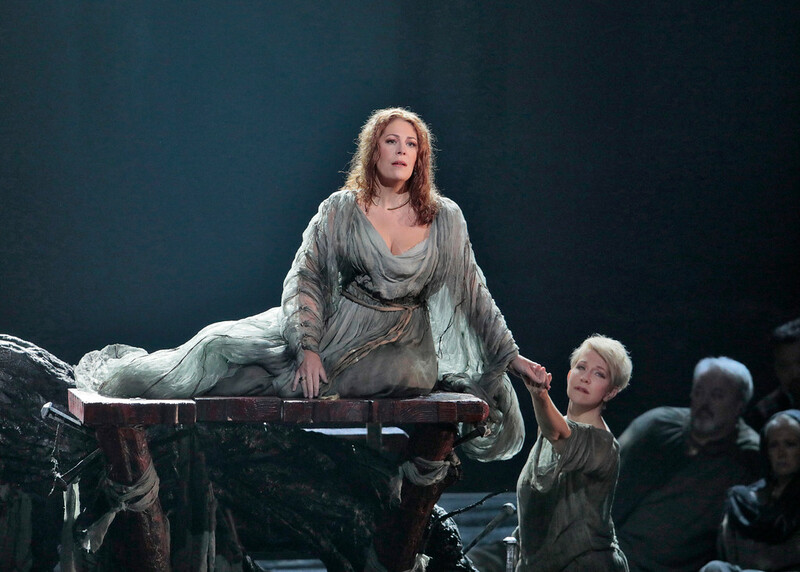 Woman on top: Sondra Radvanovsky (center) and Joyce DiDonato (right) in Act I of Norma. In the twelve years since Peter Gelb took the helm of the Metropolitan Opera, the company's opening night has been a splashy, if tricky proposition. Splashy because it's a big glitzy occasion with celebrities in gowns on the red carpet, a big fancy dinner afterwards and for the little people (like your humble correspondent) a free public simulcast on the electronic wonderwall televisions of Times Square with the opera pumped through speakers. For Mr. Gelb, Opening Night (the caps are his) has been the chance to premiere a new production at the Met. This new Norma (directed by Sir David McVicar and starring Sondra Radvanovsky and Joyce Di Donato) provided every opportunity for a a slam dunk. Reflections on the National Anthem and the Trump presidency. 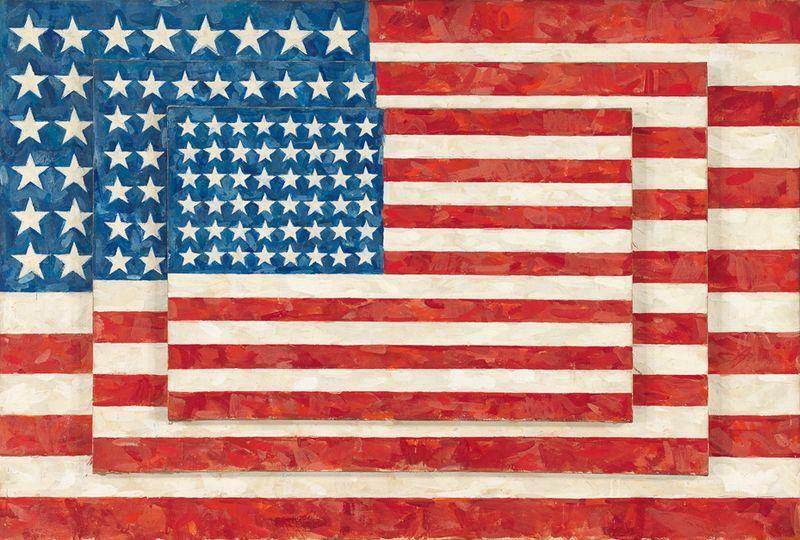 Three Flags by Jasper Johns from 1958. 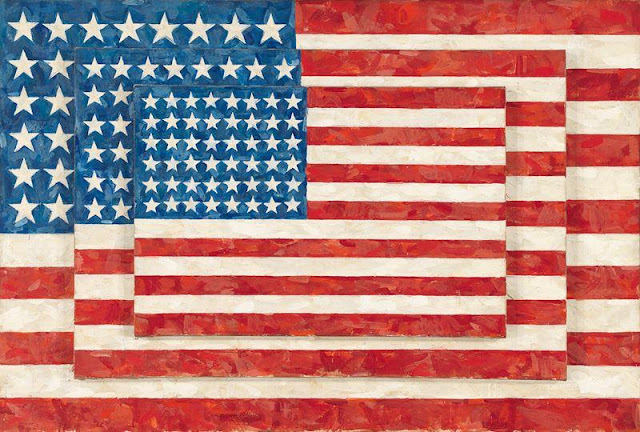 Collection of the Whitney Museum of American Art. In the last 24 hours of the never-ending cycle of news, tweets and sloganeering that has come to characterize American politics since the elevation of one Donald John Trump to the highest office in the land, another firestorm has erupted. The subject: Mr. Trump's decision last night to attack currently unemployed NFL quarterback Colin Kaepernick for his protest gesture of taking a knee during the playing of the National Anthem at NFL games. 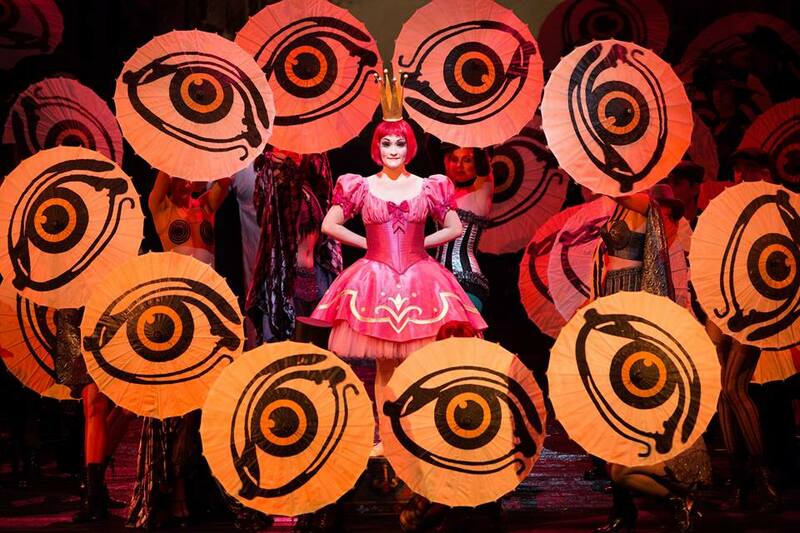 I love you Miss Robot: Erin Morley in a scene from Les contes d'Hoffmann. The Met revives Offenbach's final opera, a phantasmagorical tale about a writer trapped in stories of his own creation. Vittorio Grigolo is the hapless hero in this tragicomic classic. 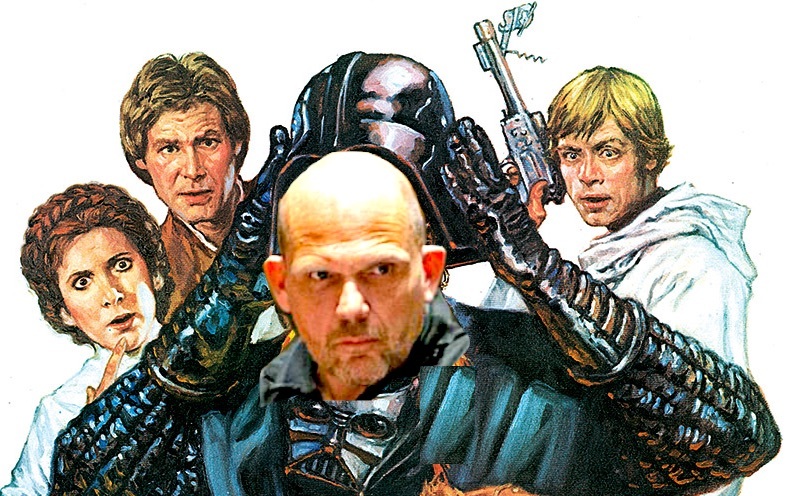 Jaap van Zweden opens the New York Philharmonic. Jaap van Zweden accepts the "baton award." The changing of the guard at any major symphony orchestra is a long and complicated process. For the New York Philharmonic, who are in the process of installing the Dutch conductor Jaap van Zweden as its new music director, that process took another turn on Tueday night. Mr. van Zweden is not quite "here" yet. He will start his first official season with the orchestra in 2018 and conduct a few subscription concerts this year. Meanwhile, he will divide this season between New York, Hong Kong and Dallas, where he is in the final year of his contract. New York City's most prominent symphony orchestra unveils its new face. The New York Philharmonic unveiled Jaap von Zweden (center) as its new Music Director. Background art © 1983 Mad Magazine from Issue 259. Painting by Harvey Kurtzman and Will Elder. Photo butchery by the author. The New York Philharmonic throws open its doors tomorrow night with a concert they are dubbing the Gala of 106 All-Stars. The program is unusual and heavy for an opening night: Gustav Mahler's burly five-movement Symphony No. 5. 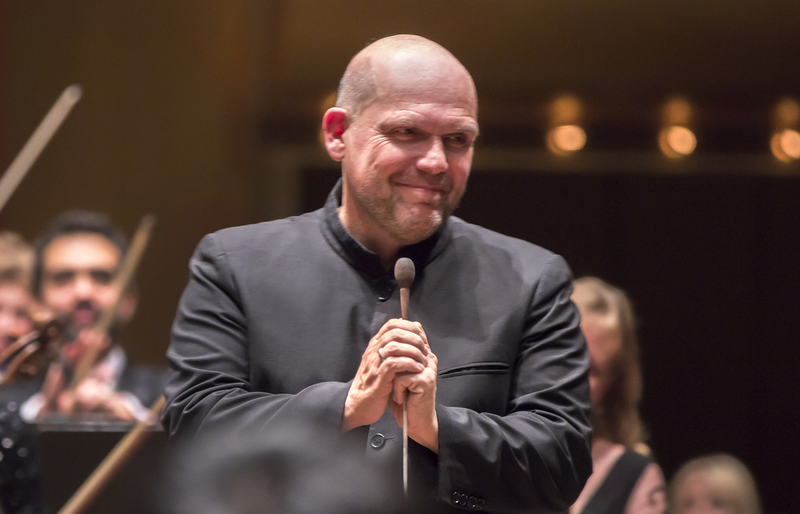 The real star of the show will be on the podium: Dutch conductor Jaap van Zweden who is one year away from beginning his tenure as the orchestra's newest Music Director. This concert will be reviewed on Superconductor but if you're not going it will also be streamed live on Facebook. 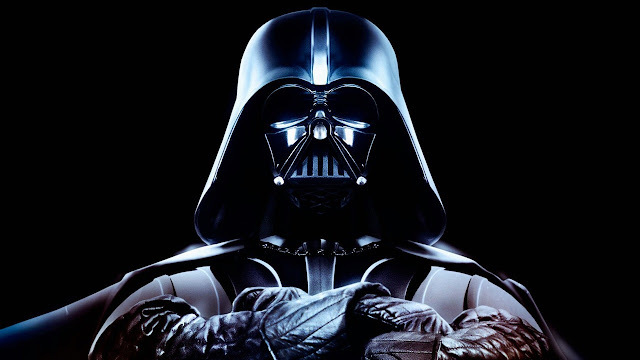 The New York Philharmonic plays Star Wars Episode IV: A New Hope. Three ships came back: the Rebels at the start of the Battle of Yavin. Image from Star Wars Episode IV: A New Hope © 1997 Lucasfilm Ltd./The Walt Disney Company. There would be no Star Wars without the music of John Williams. On Friday night, the composer's stirring opening music sent hairs standing on end as the New York Philharmonic gave its second performance of the complete orchestral score of Star Wars Episode IV: A New Hope. Their task: accompanying George Lucas' 1997 remastered "Special Edition" of the beloved 1977 science fiction classic. This concert series will continue later this month with The Empire Strikes Back, Return of the Jedi and the most recent "official" episode in the series: The Force Awakens. Puccini's Turandot claims yet another victim. The Princess Turandot. 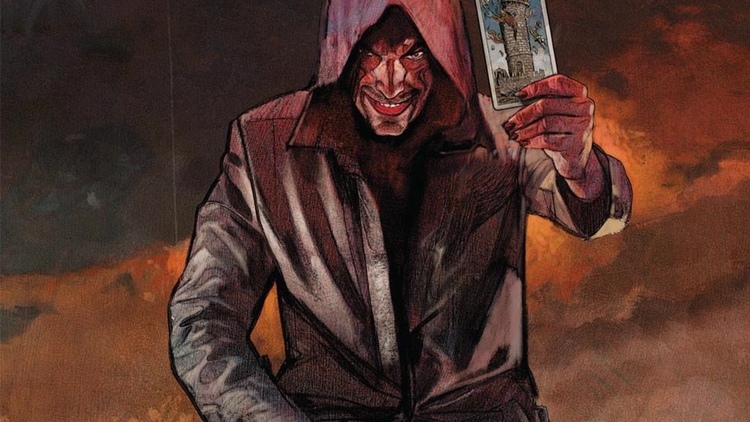 Art from the original cover of the score as published by Ricordi. 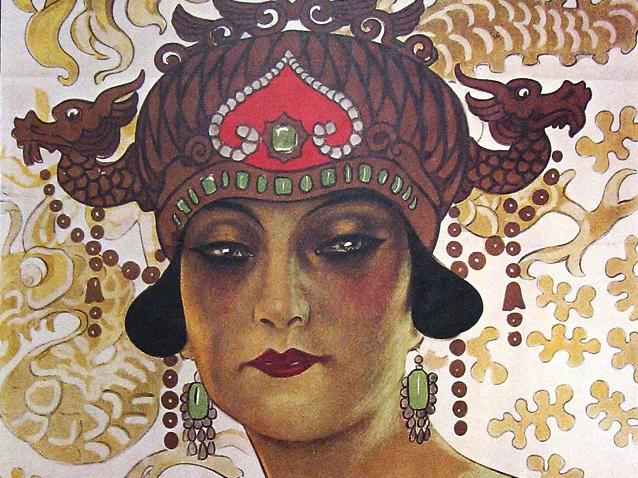 The title character of Puccini's final opera Turandot is a fabulous Chinese princess, and possibly the most bloodthirsty heroine in opera. Y'see, Turandot, the daughter of the Chinese Emperor, is a single girl. And in a vow to her ancestor, she has her would-be suitors decapitated when they fail to answer three riddles. One could view this work as an exotic vision of ancient China through the eyes of a late Romantic Italian composer...or a game show gone horribly wrong. Pagliacci postponed: gang of plucky kids may be responsible. Pennywise the Dancing Clown (Actor Bill Skaarsgaard) visits LoftOpera. Pennywise image © 2017 Lions Gate Studios. LoftOpera image © LoftOpera. Photoshop by the clown that writes this blog. Opera lovers may notice a gaping hole in the schedule this week. 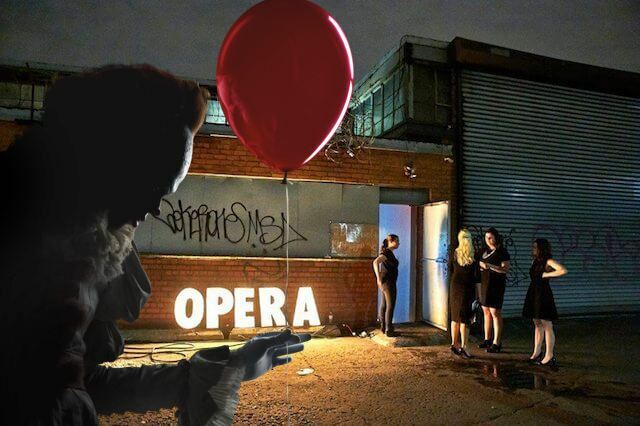 LoftOpera, that plucky and innovative company that mounts wonderful operas on the cheap has been forced to postpone its planned production of Pagliacci, the bloody Leoncavallo verismo drama about a clown who goes berserk and murders his wife. 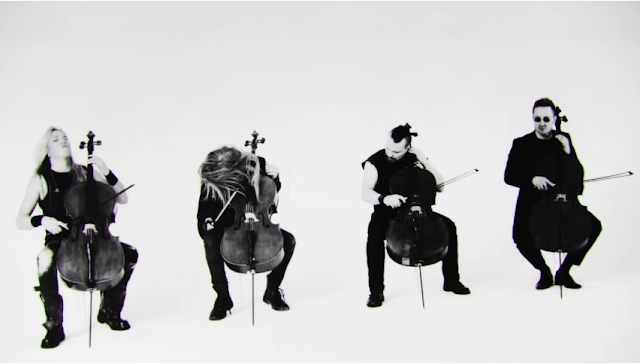 Apocalyptica celebrate 20 years of Metallica covers--on cellos. in their video for "Battery." Image © 2017 Apocalyptica. Twenty years ago, I was in the Record Factory in Bay Ridge, Brooklyn on a Saturday afternoon. The clerk, Fred showed me something "new and weird" that had just come in. It was by a band called Apocalyptica and was titled Plays Metallica for Four Cellos. Skeptical, I flipped it over. And that was when I recognized Eicca Toppinen, the Finnish cellist who is the band's leader and who I had met when he was playing in New York with the new music ensemble Avanti! the year before. Anyway, I bought it. His name is Lord Vader. Be extremely polite. used for purposes of promoting the New York Philharmonic only. In recent years, the New York Philharmonic has jumped squarely on the bandwagon of playing orchestral scores as accompaniment to popular films. 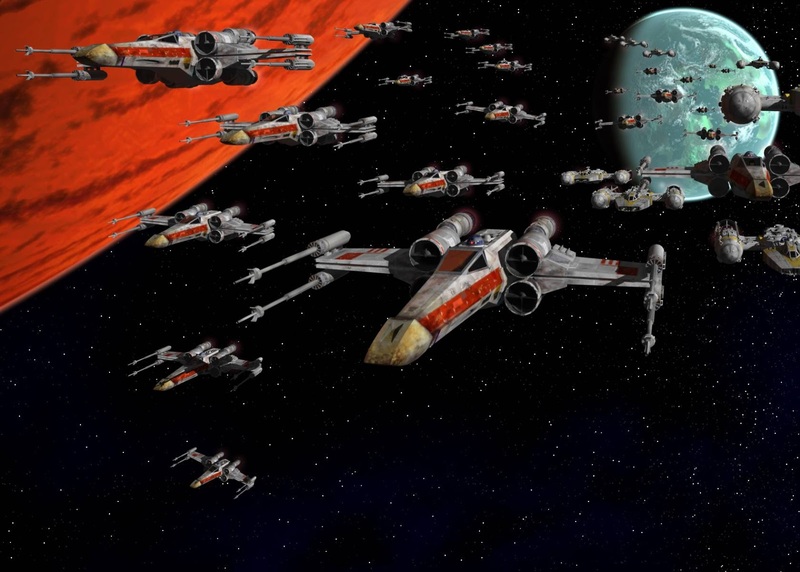 This month though, America's oldest orchestra takes that experiment to hyperspace with the Star Wars Film Concert Series: performances of four of the seven films in the Star Wars franchise, with the orchestra thundering away (under the baton of David Newman) as the adventures of Luke Skywalker, Han Solo and Princess Leia spool forth onscreen. With Star Wars: The Last Jedi coming out in December, this three-week cinematic marathon is just the place for Star Wars fans to get their inner Force into balance. The New York City Opera opens with La fanciulla del West. 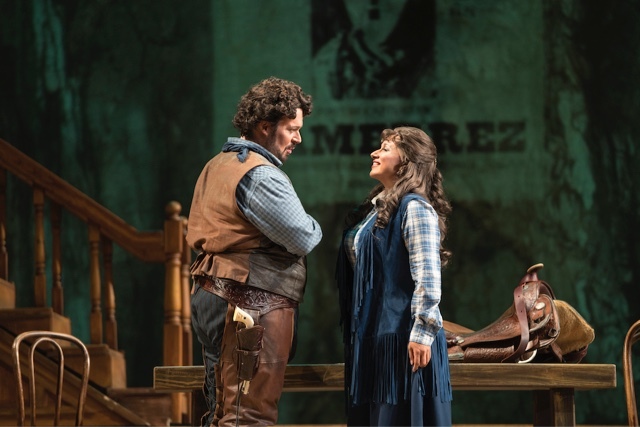 A rootin'-tootin' romance: Jonathan Burton and Kristin Sampson in La fanciulla del West. Photo by Sara Shatz courtesy New York City Opera. Of the mature operas by Giacomo Puccini, La fanciulla del West (English title The Girl of the Golden West) is unique. It was his first (and only) opera written for the American stage, premiering at the Metropolitan Opera in 1910 with Enrico Caruso in the tenor part and the composer in attendance. Based on a play by David Belasco, (he also provided Puccini with source material for Madama Butterfly) its ending preaches tolerance over tragedy. The final curtain descends on an ambiguous but generally happy note as the hero and heroine ride off into a new future. It was an inspired choice to open the second full season of the resuscitated New York City Opera.